First off, here’s a video. It might be a bit shaky, and there are a lot of black spaces –but I maintain that they are all for artistic direction et cetera. I was also planning to do an actual vlog, not this montage of hilarious events, but I thought that my Circle friends (and the rest of Singapore) were still too innocent to be exposed to my sad narcissistic narrations. And then here’s some (like, three) pictures that didn’t make it to the video. I have a cleft chin…? And a window seat (always a must-have for me). I just love / adore / obsess over my travel gear! Haha. 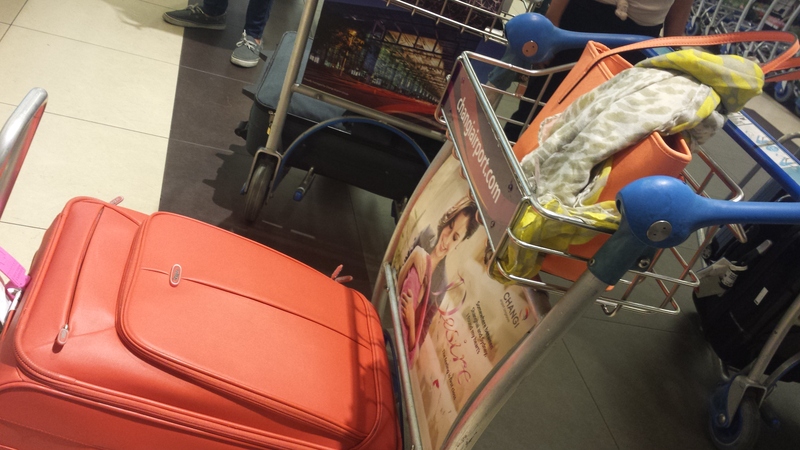 Large orange luggage from Segue, orange tote from Aldo, and summer scarf from my mom. :> // And Changi Airport looked awesome, but we really didn’t have that much time to explore the place. I love this dress <3 Haha! We actually bought an entire wardrobe of roughly 10 dresses and 2 shorts and 4 cardigans and 5 (6?) shoes for this trip. But no sweat, they were all (mostly) thrift finds (we are awesome)! My teammates are fabulous. 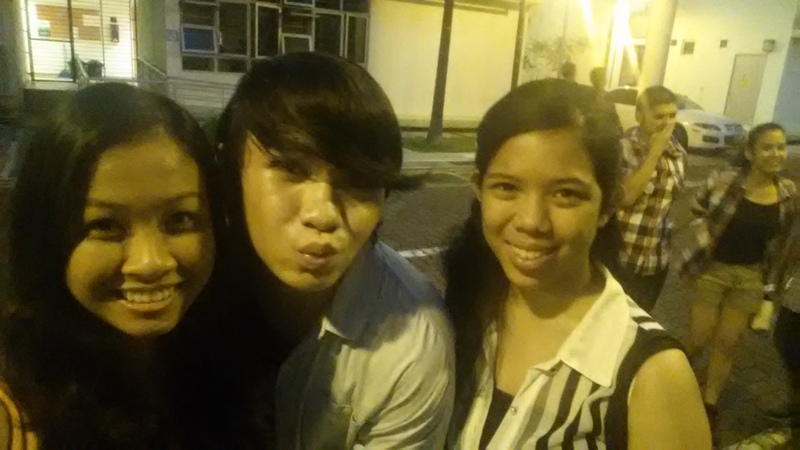 UPM 2: Me, Christian and Jean (L-R). 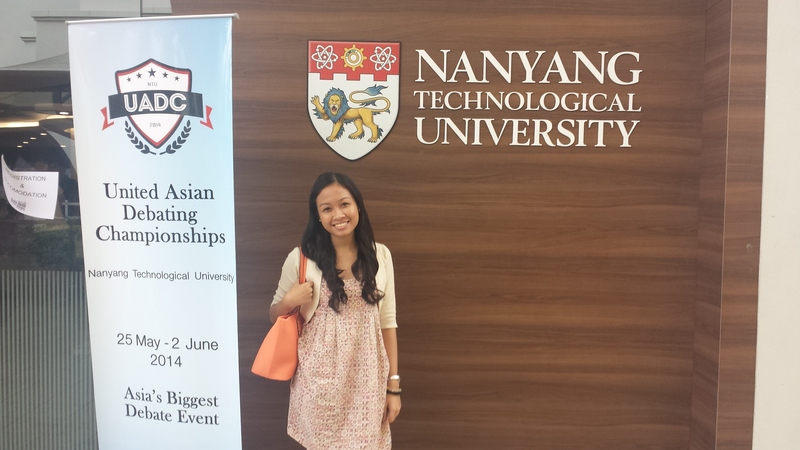 Nanyang Technological University is awesome and also very, very big. Like, ridiculously awesome and ridiculously big. I can’t recall the number of times I told myself (and everyone else) that if I enrolled there I would never ever want to go home. The dorm rooms are almost perfect (just add an en suite and a fridge), the canteens are awesome, the hobbit-like walkways are well-paved though a bit confusing, there are literal bus stops inside the campus, and the study areas. I could probably be cajoled to enrol just by looking at the neat study zones. A quick google-fu tells me that the campus (largest in the country) sits in 200 hectares of land, and the research university also sits in the top 41st place (globally) and top 8th (regionally) by QS World University Rankings 2013. Damn. Those are neat scores from such a young university (relatively). People are people, meaning let’s not romanticize foreigners into super progressive heroes nor should we be cynical about their morals. A lot (but not all) of the teams and adjes we met as UPM 2 were quite friendly :3 (or rather some members of some teams… haha? ), but other stories from UPM 1 and our adjes really presented a nice contrast (e.g. people who quarrelled during veto, who won’t listen, who were disrespectful, etc). But personally I absolutely adored everyone we positively interacted with, largely because they had the guts to make those overtures to friendship, and also because they stand as microcosms of their culture –so even if I haven’t been to Indonesia, or Pakistan, or that part of HK, at least I’ve seen a bit of their culture already. Hiiii. Research is essential, and I mean research about everything. There’s research about current events (which would have seriously helped us in that ugh round on Yasukuni Shrine), about the food (so that I wouldn’t have gotten meat-rice or burger-fries combos I could have gotten here in PH), about their lifestyle (it took me several days to catch up to the whole EZ-link automatic card thing) and more… Basically, I should have been more prepared to not be a tourist, but a traveller. So that’s a 5-3 standing which, unfortunately, was not enough to get us to pre-octos or octofinals. :( SIGH. I think we could have made it if our speaker scores weren’t so bad for the last two rounds. Next time! 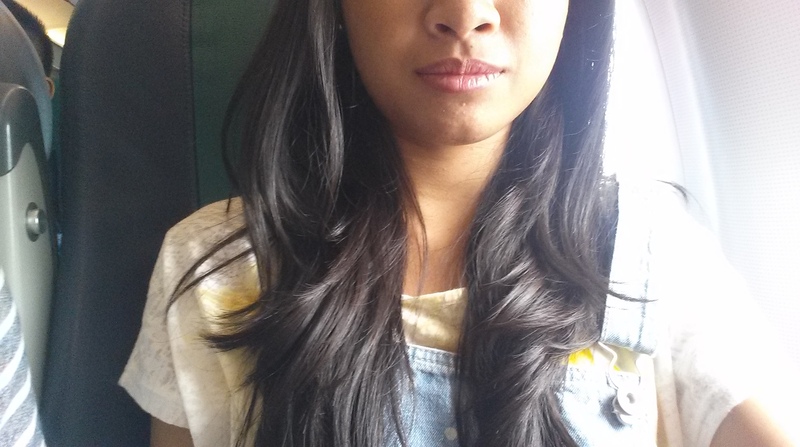 Life Update Okay, yes, it might be a bit too early to be posting anything –but I’m on my way to Laguna for the day to have some bonding times with the extended family. I’m so freeee. This extended summer is making me fat (my 30 minutes of exercise per day isn’t really working… yet).